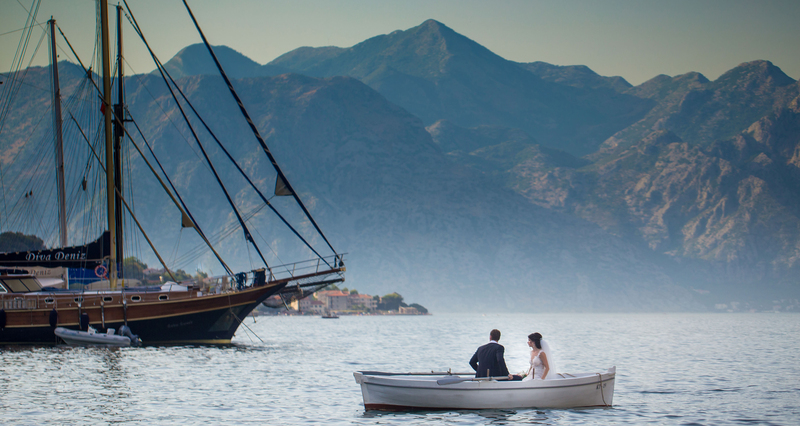 A symbolic wedding in Montenegro is an ideal solution for couples in love. Discover the new original beauty of nature, delicious national dishes and the charm of the ancient cities of Montenegro! The peculiarity of the ceremony is that it does not require preparation of documents and compliance with formalities. Choose a place for the celebration, and we will prepare the decor options and the concept of the wedding. IN GIFT - 1 hour of photography (20 photos in processing). GIFT - video shooting of the symbolic ceremony. Wedding ceremony we organize in luxury castle-hotels, in green olive groves, on a yacht, in the mountains, on the lake and on the Adriatic coast. More sites for the wedding ceremony are on our site. If you are married, a symbolic wedding ceremony will refresh the senses and create even more value for your relationship! We believe that joyful and memorable should be not only a wedding, but also preparation for it. Therefore, we create comfortable conditions for our clients and solve all the issues that arise during the preparation and holding of the celebration. We coordinate the day of your celebration. The natural beauty of this country will replace many costly scenery. And it is here that your honeymoon begins! You will have everything real - high mountains, on which clouds sleep, a salty wind, sounds of the sea and endless love for each other. Your wedding ceremony in Montenegro is realizable and real. You will never forget pleasant excitements, heartbeats in unison and these happy memories will remain with you forever. We offer to watch the video calls of our customers. Если Вы не нашли то, что желаете, мы создадим для вас индивидуальное предложение. Напишите нам, и мы подберём оптимальный для Вас вариант исходя из ваших личных пожеланий и предполагаемых затрат. Праздничное агентство «Event in Montenegro» официально зарегистрировано на территории Черногории. Жмите на кнопку ниже и оформляете заявку, сделайте важный шаг к созданию семейной жизни!